Nura's quirky Nuraphones are getting a lot smarter at no extra cost. 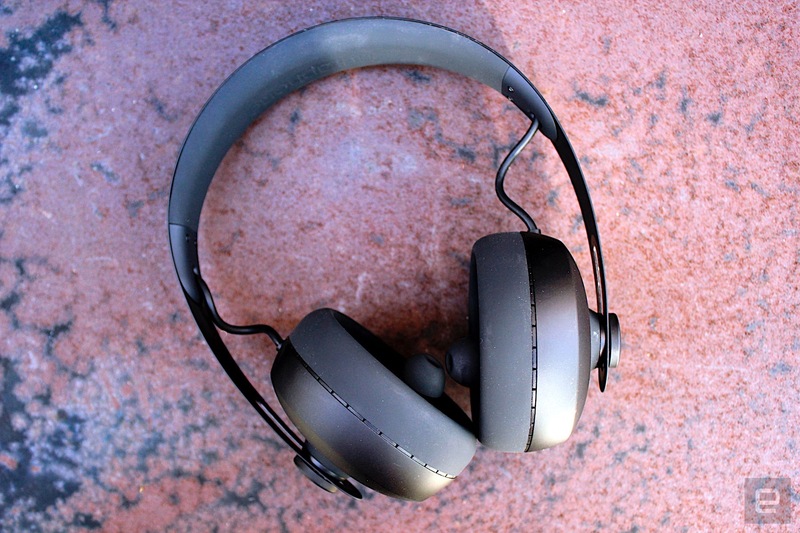 When I reviewed the Nuraphones, I was impressed. The unusual in-ear/over-ear design might look weird, but it actually works very well -- and the personalized audio profiles are impressive. Makers, Nura, were a newcomer, but the build quality and attention to detail were better than many companies that have been in the game for several years. Not everything was perfect though. The physical controls were limited, and there wasn't even a way to know they were charging/charged. Today, the Nuraphones are getting a serious upgrade, for free, and it's as simple as a firmware update. 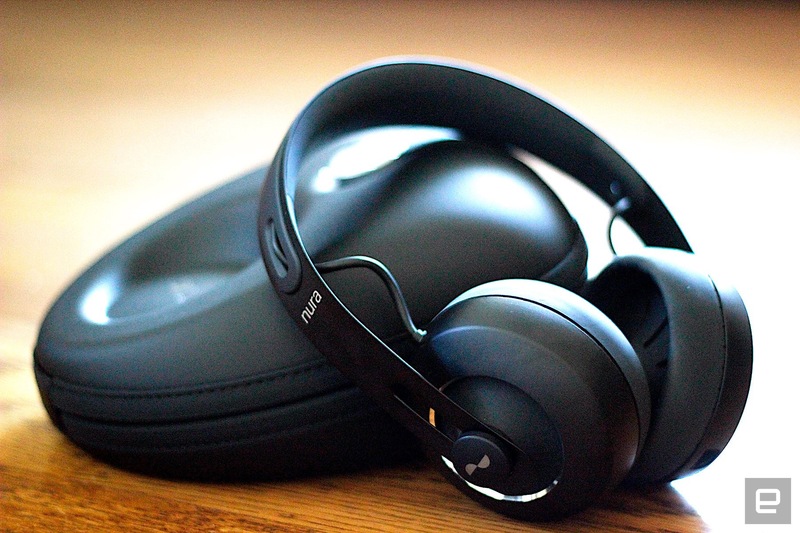 The "G2" software brings -- among other perks -- Active Noise Cancellation (ANC) and "Social Mode" (sometimes known as audio-transparency -- allowing you to hear the world around you without taking the headphones off). A cynical company might have released "new" hardware and bumped up the price, but Nura is offering this as a free update for new and existing customers alike. While ANC and Social Mode are probably the two most noteworthy updates, there are a few other goodies here. Previously, the touch-sensitive discs on the headband could be assigned one action each (play/pause, skip track, etc.). Now, you can assign actions for both single tap and double tap -- giving you a total of four controls from the headset directly. Best of all, this includes toggling social mode and volume control (the one I was craving the most). The remaining improvements include multi-device Bluetooth pairing, so you no longer have to unpair and then repair with, say, your laptop. The algorithms for the microphones have been tweaked to enhance voice calls, and last (but not least) there's now an audio notification to indicate they are charging (and a battery-level voice prompt each time you put them on). It's a small detail that relieves some of the power-anxiety that comes with wireless headphones. A lot of people cherish ANC and only really consider headphones that have it. When I first tried the Nuraphones, I actually didn't mind the lack of ANC. The over-ear cups, combined with the in-ear buds (yes, it's weird), already provided really good isolation. Having tested the ANC though, it's a welcome addition, especially in environments with persistent droning noises (like airplanes). The level of cancellation is perhaps less aggressive than you might find on a pair of Bose (for example), but that's possibly because the default isolation isn't as good. Social Mode is surprisingly good. It's a feature I first tried with Bragi's Dash, and while I never found myself using it that much, I definitely saw the benefit -- especially when situational awareness is important. Nura's implementation is one of the best I've tried. With Social Mode activated, I can hold a normal conversation without shouting, and high-frequency noise, like jangling keys, doesn't get amplified to annoying levels (as is often the case). Ultimately, the G2 update makes an already clever headphone, a lot more appealing. I already loved little details with the Nuraphones, like how they turn themselves on/off simply when they're put on/removed. I'm also a huge fan of the "Immersion" mode that uses transponders in the earcups to let you "feel" the bass (don't worry, it's optional). Of course, let's not forget Nura's flagship feature, which is personalized audio profiles. The first time you use the headphones, you can (and should) undertake a hearing test. It's automatic (unlike similar products that require you to listen and click when you hear sounds) and takes around a minute. Once you're done, the audio EQ is configured to match any hearing deficiencies you have (and trust me, you probably have some). 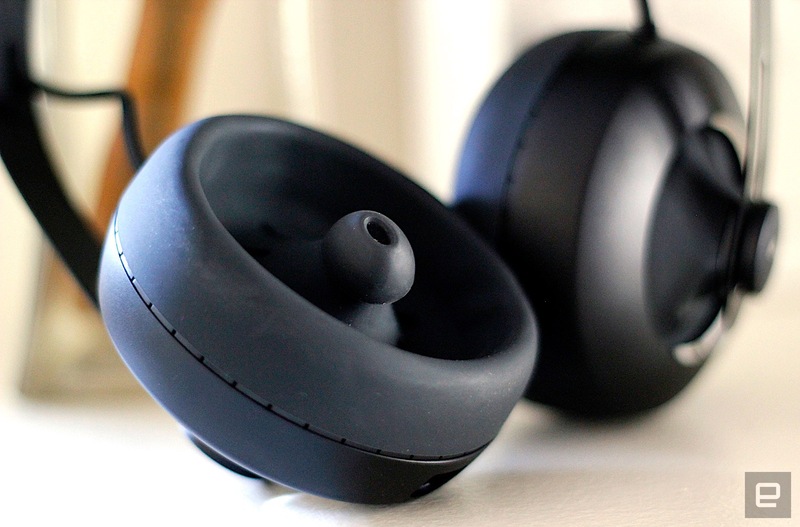 The fact that Nura seems willing to improve the Nuraphones over time is promising. Sure, you could argue that they shipped early and added these features later. But even then, how many companies are doing that regularly? Most importantly, for me, the G2 update makes a good pair of headphones great and much more worthy of the $399 price tag. There are still two small improvements I'd like, but alas they cannot be solved by software. I do still appreciate an LED to let me know when the headphones are fully charged (or when Bluetooth pairing is on, etc.). And while you can get a variety of cables (USB-A/C, Lightning and 3.5), for wired audio and/or charging, Nura used a proprietary connection. This means if you want to charge at home and the office, you either need to bring the included cable with you or spend another $20 on a spare. These are minor nitpicks though. The Nuraphones started as something unique -- a quirky design with a "personalization" party trick (albeit a good party trick). Now, they feel really comprehensive, with excellent build quality, great sound (really), wireless (with wired option) and a host of other nice-to-haves like "immersion" mode, ANC, audio transparency and more. This all gives the Nuraphones a rare spec sheet, to say the least. If you already own a pair, head to the Google/iOS app store for the update.